Question: What does Leonardo da Vinci have to do with heart disease? Answer: 3D printing. The study of human anatomy has a long and dangerous history. If you were a convicted felon in Greece about 300 B.C.E., you stood a good chance of being cut open while still alive for the good of scientific research and future generations. The scientific goal was not so much the study of anatomy for its own sake but to find the seat of intelligence, thus the importance of studying a being while still alive. Almost 500 years later, Greek convicts were used as gladiators for public sport. A surgeon named Galen worked on gladiators and became a specialist in stitching up sword cuts. As he learned, he began to write his recommendations to other doctors on what to expect with various surgeries. His writings began to circulate and gather credibility because it increased the understanding of those practicing medicine. Until the very late 15th Century, scientific inquiry was strictly forbidden in Medieval Europe. Leonardo da Vinci secretly gained access to about 30 corpses over the course of 25 years. He made 750 drawings in the same fashion as an architect would have. Prior to his day, it was an accepted fact that blood ebbed and flowed through the body like the ocean’s tide. In their understanding, the heart was a passive organ. Some believe that da Vinci’s drawings of the heart were beginning to show a theory that the heart was active. Fast forward to the year 2013. 3D printing, or “additive manufacturing”, is showing massive potential for widespread application in the medical industry. “Bioprinting” has already been used to help grow living tissues that can be implanted, transplanted or harvested for food. Some burn victims are already being treated by 3D printers which build skin and muscle tissue directly into the affected area. According to some authorities in the Bioprinting industry, future success in the field is determined by software that can take the universal laws of the human body and combine them with the individual needs of each patient. It is relatively simple to create a 3D printed object that is static like a desk ornament. It is another thing altogether to 3D print human tissue and place it into a living human being with their unique physical requirements. The number of factors are enormous, making the challenge all the more daunting and the reward that much greater. The key to unlocking these amazing medical advances is a greater understanding of how our bodies work— the knowledge of anatomy. Discovering the body’s secrets has fascinated people of all ages. 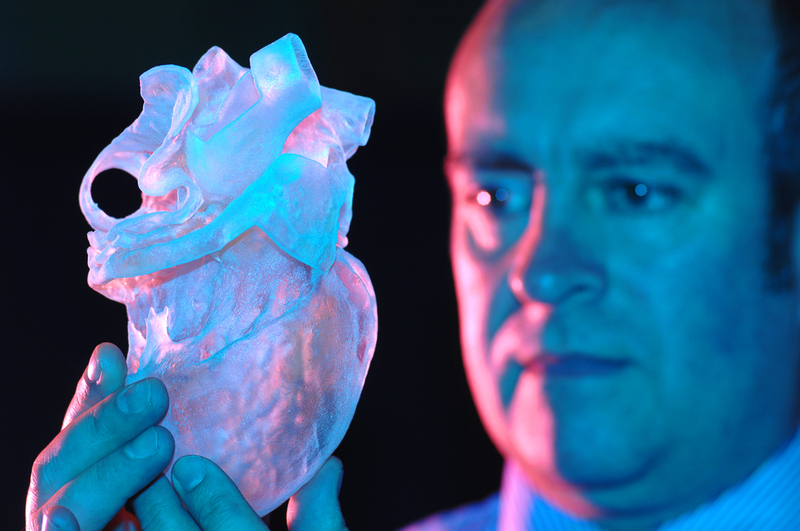 3D printing is playing an important role in understanding and extending the inherent abilities of our bodies. Many 3D printing enthusiasts believe that the technology will be indispensable to the medical industry within a decade. Combined with wearable technology, 3D printing may have a greater impact on our physical bodies than we currently realize.